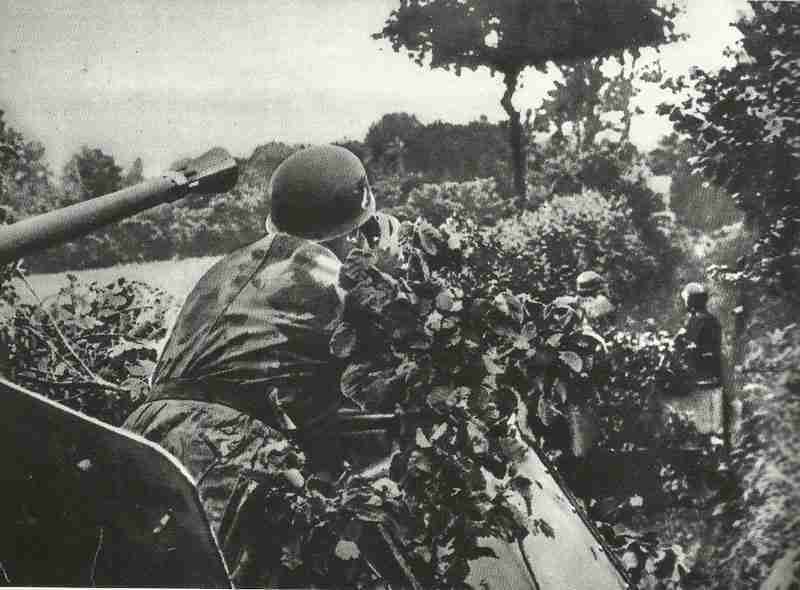 Well hidden in the bushes, German self-propelled anti-aircraft guns lurking to the appearance of Allied low-flying aircraft. Panzers counter-attacking east of Avranches are decimated by Allied bombers and rocket-firing Typhoons; but Germans continue attacking. Canadian 1st Army (including Polish 1st Armdoured Division) attacks south of Caen, supported by 1,000 RAF bombers. 9th US Army encircles Brest, Lorient and St Nazaire (August 7-13). Resistance destroys 19 transport aircraft at SNCAC factory, Bourges.